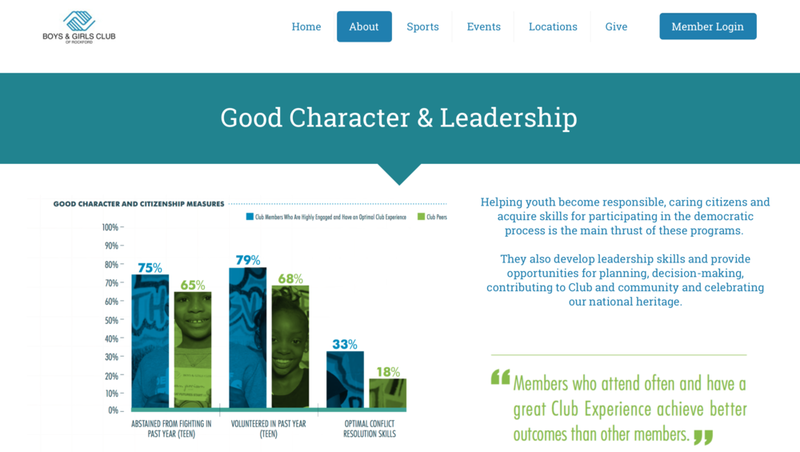 We partnered with the Rockford Boys & Girls Club to bring them a redesigned website to better meet the community's needs. Before now, the Boys & Girls Club of Rockford did not have the capability to accept registrations and payment online. With their redesigned site, they now have the ability to accept registrations AND payment for events, sports, and after school programs directly from their website. Parents will no longer wonder when the next sports registration will open or try and remember to bring that pesky paper registration form. Last week, we had the pleasure of visiting the Flodin unit to help with the set-up and configuration of registration tablets. During the various basketball games over that Saturday, many parents had the opportunity to pilot the registration process for spring baseball. Not only could they register from the tablet but they could also pay right from the same screen!